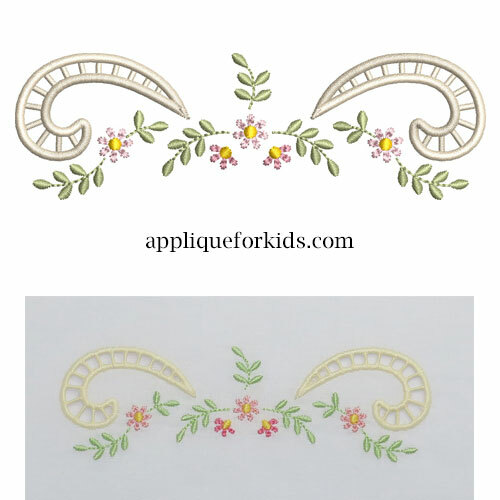 width: 5.17" X height: 1.62"
Create a beautiful Heirloom with this easy in the hoop cutwork design. Greta for linens and garments. Very pretty on a collar or bodice.